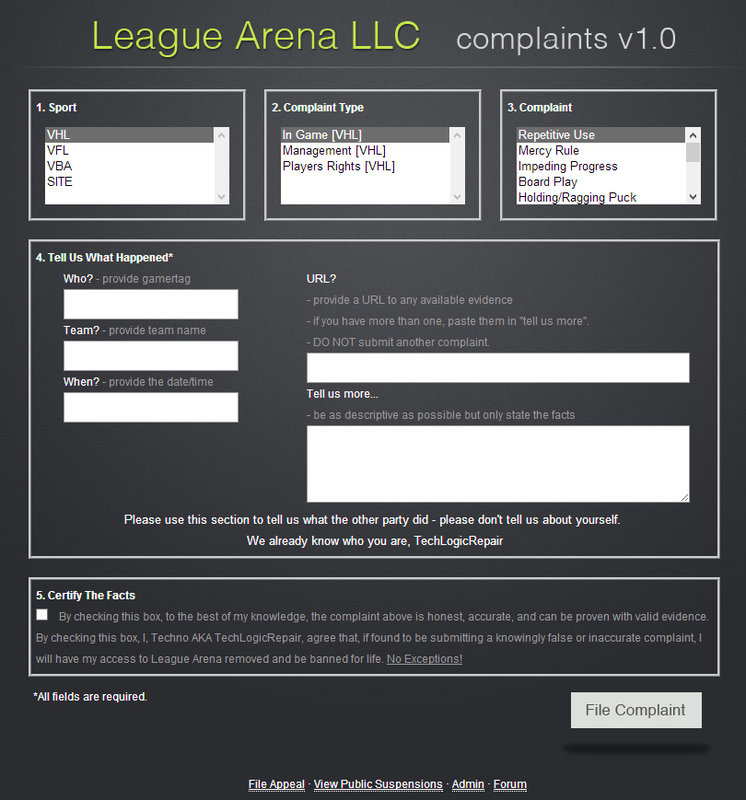 League Arena LLC – The Complaints System was custom built to handle player complaints for in-game & site issues. The complaints are collected and assigned a complaint number. An easy-to-use administrator panel allows site staff to easily manage the status of each complaint; while ultimately deciding what the complaint will result in – Dismissal, Strike (warning), or Suspension. The complaints system sends out notifications to the party in question as staff makes the decision on complaints filed.